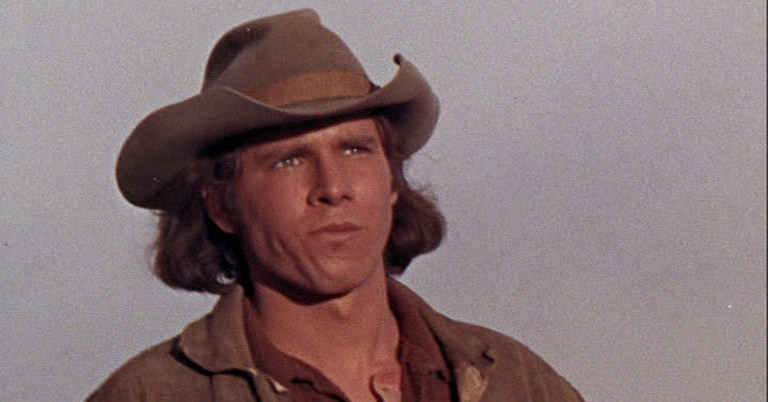 Journey to Shiloh is a movie which stars a young James Caan wearing a bizarrely unconvincing wig and a very young Harrison Ford wearing a hat. Oh, and Jan-Michael Vincent from TV’s Airwolf with very blonde hair. It’s a weird film. And not weird in the “so unusual it’s good way” – it’s just a curious thing to make a film about. It concerns a group of seven cowhand friends travelling across country to join the Confederate Army without, it seems, any real idea what they’d be fighting for. Scenes where they meet slaves and see their mistreatment for the first time are presented as the eye-opening thing it should be. For simple folk who’d never even seen slaves before you’d think in a storyline this would be enough for a huge sea-change, but no – they carry on travelling to join he army fighting to protect the practice. And we never understand why. It’s also 96 minutes long and achieves the astonishing feat of stretching time, so that hour and a half feels closer to four. The characters are introduced by a song, which explains who they all are (a sort of not very magnificent seven) and saves us the need for any establishing scenes so we can be dumped straight into the action. But even so the film just drags. It is incredibly dull. None of the characters are worth giving a damn about so it’s incredibly difficult to worry about any of their fates. Shot in Cinemascope, the decision to release Journey to Shiloh in an old-fashioned pan and scanned 4:3 version seems incredibly odd – is it even possible to buy a TV that isn’t widescreen any more? Perhaps it’s more to do with the source material – the picture of some scenes is fizzy and scratchy with dirt and perhaps this is the only way it’s available to be seen without an incredibly expensive restoration. The acting is less than workaday and no one comes out this well. Harrison Ford is not on screen much and has little to say, so you’d have to be a really big fan to get this just for him. It’s definitely one for completists only. Journey to Shiloh is out now on DVD.